The terraforming of Mars continues, with the inevitability of a giant machine rolling across the red dust of Sol's fourth planet . . . but there are still those who would like nothing more than to throw a planet-sized monkey wrench into that machine. The ecoterrorists (or preservationists, depending on your point of view) of Red Mars usually like their sabotage loud, flashy, and destructive – but this time they're trying something subtle. Can your Mars Defense Force team figure out who's the saboteur at the research station on the Hellas icecap – and where else their plans may lead? 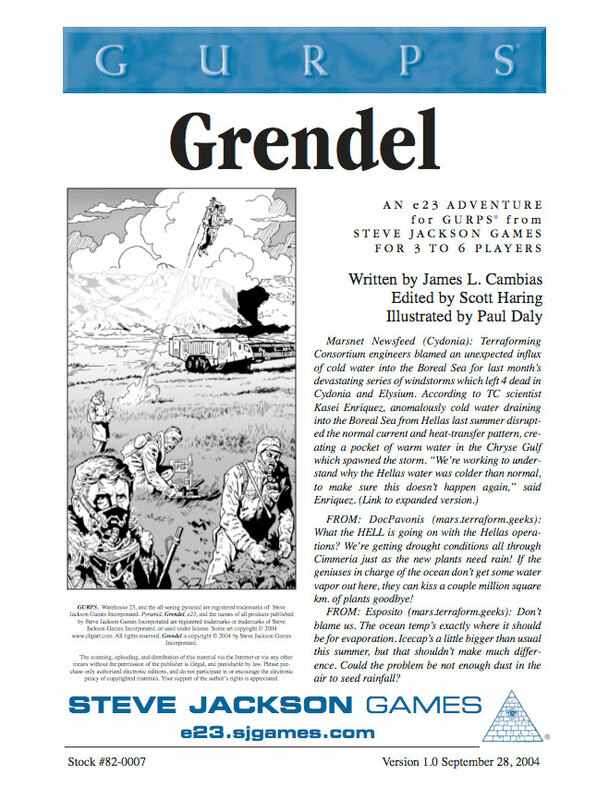 "Grendel" is written by Jim Cambias, author of GURPS Mars. 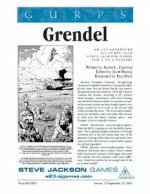 GURPS Mars: Rescue Mission – Another adventure by Jim Cambias. GURPS Mars – Mars as it's been through the ages . . . as science now believes it really is . . . as it may be someday, mankind's first colony . . . and as the wild imaginations of science fiction writers have pictured it!